Do you need the services of a Alexandra Palace Locksmith N22 who offer a 24 Hour Service which will NOT charge SILLY prices? You are looking at such a Locksmith page... Our Locksmith Business is a Company based in London which has been established for many, many years and are Company members of The Master Locksmith Association, an Association recognised by the Police and Insurance Companies. When we quote a price, that will be the price you pay, with no added hidden costs. ANY NEW COMPLETE LOCK FITTED BY OUR COMPANY CARRY OUR NO QUIBBLE GUARANTEE. A 24 Hour Alexandra Palace Locksmith N22 Service, which give the service they promise. Have you called out a Locksmith Company which has quoted you a small amount of money to unlock, or fit a lock, then been charged hidden costs, which you did not know about? 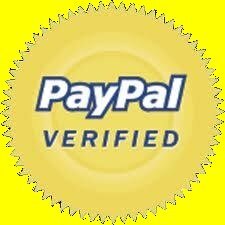 With our Company YOU will not have that problem, when we quote you for any work....That is what you pay, including VAT (Subject to being given the correct information). We are an established Company and have been based at the same premises for over 35 years, in that time we have undertaken many, many thousands of jobs, with our satisfied customers returning to us. once they have found us. Our 24 Hour Locksmith Service, is here to help you, when you are locked out of you home, because your keys have been lost, stolen or you may need your locks changed, due to moving home. Our first class Locksmiths will help you. In the event of an emergency lock out, our Locksmiths can be at your premises within 20 to 45 minutes. We will always advice you if we cannot make this time, due to traffic etc. The Carpenters of our Locksmith Service will supply and fit doors as well as the fitting of locks to both doors and windows, they will also repair damaged frames and replace locks. Remember! Any new complete lock fitted by our team, come with our no quibble guarantee. Not only do we offer a full Locksmith 24 Hour Service, North London Locksmith also have a shop base where we offer a Traditional Locksmith Service. At our Locksmith Shop based in North London, we offer a full Traditional Locksmith Service, where we still make keys to locks, repair locks, strip down ignitions and make keys to them, as well as selling locks and copying keys. We have a large range of keys and locks and also offer trade discounts. Our Locksmith team specialise in repairing UPVC locks and will also offer advice on any lock or key problem you may have. TRY US YOU WILL NOT BE DISAPPOINTED. 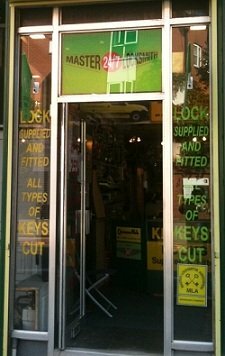 WE ALSO OFFER A FIRST CLASS WEB LOCKSMITH SHOP, WHERE LOCKS CAN BE PURCHASED AT DISCOUNTED PRICES. NORTH LONDON LOCKSMITHS LTD. ALSO OFFER THE FOLLOWING SERVICES. If you would like an estimate on any work in which our 24 Hour Alexandra Palace Locksmith N22 team undertake, or would like FREE advice on any locks or keys, please fill in the estimate form below and we will respond as soon as possible with any quote required, or telephone our office direct on 0208 800 6041, where our friendly Locksmith team will be happy to assist you.